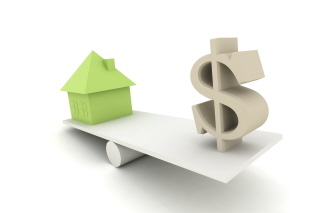 How much has home market value truly declined nationally? Nationally, approximately how many homes have people (squatters) still living in them, when they no longer have the ability to pay the mortgage but have not yet been foreclosed on, or had their mortgage restructured? How have the natural disasters impacted housing stock and value nationally? How much more can we withstand? What would be a "breaking point" for the market, insurances, financials and government support? The most current national statistics start in the month of May, so I will start here. Currently over 200,000 properties are in some form of default, auction, or bank repossession nationally for the month of May. This represents a two percent decrease from the previous month and thirty three percent decrease from May last year. This being said, Fannie Mae has issued a new standard for loan providers of their insured loans. Providers of their loans will be required to initiate a “Quality Right Party Contact” standard. What this means is servicers will have to initiate a customer service program to figure out the reason for the homeowner’s delinquency, assess the borrower’s ability to pay, and provide education about foreclosure prevention options. The loans that don’t qualify for loss mitigation, loan providers must now wait 120 days before beginning foreclosure proceedings. This shows that we have a long way to go as a country to pull ourselves out of the foreclosure crisis. This is especially true if lenders will have to wait four months before they can begin the foreclosure process. The Fannie Mae standard is effective September 1, 2011. Natural disasters impact local, regional, and sometimes state real estate markets (rarely). The real impact comes from damaged housing, roads, commercial properties, and utilities. The real estate market in terms of buyers and sellers is non-existent in a disaster zone until that particular area is rebuilt and functioning normally. Natural disasters very rarely have an impact on housing values nationally because real estate is a local market business. Economists add local, regional, and state values to make an “average national value”. Damaged real estate can dramatically affect a state budget if the disaster is big enough, and can thus affect money that goes to other projects for that state (not completely real estate related though). I believe the breaking point for our country would be if congress doesn’t raise the debt limit, because that would dramatically affect our borrowing power as a country. If we default on our debts as a country, it will make it more difficult for lenders to borrow from the fed, which would make it extra difficult for lenders to loan money to you and me. Applying for a loan to purchase a house in this environment would be mission impossible. This being said, I believe we will come out of this foreclosure crisis in the next three years. I truly believe by sometime in 2014, the majority of the glut of housing stock in the foreclosure process will have been remedied in some way, shape, or fashion. Join in and write your own page! It's easy to do. How? Simply click here to return to Increasing Your Home Market Value.